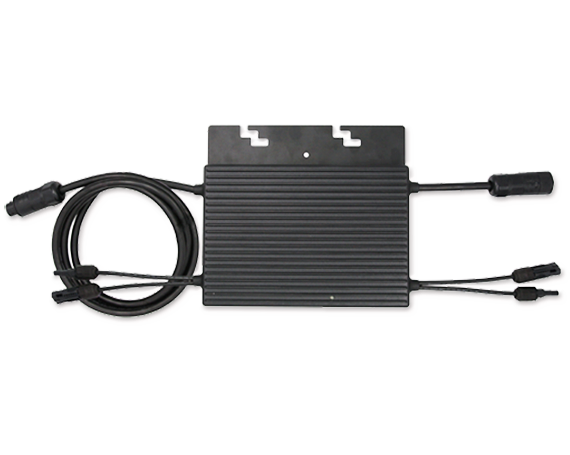 LeadSolar offers both dual and quad-input microinverters to meet the needs of our customers. Our microinverters support 60, 72 or 96 cell panels from most major solar panel manufacturers and efficiently convert powers exceeding 350 Watts on longer branch circuits. This results in an overall lower Cost/Watt solution for our customers. LeadSolar microinverters are designed and built to last in the harshest conditions. Assembled using U.S. supplied components and tested in accordance with international standards, LeadSolar microinverters have passed the most severe accelerated stress-tests for durability and reliability. Hundreds of thousands of LeadSolar Microinverters have been deployed in the field in high profile projects around the world with less than a 0.5% failure rate, one of the industry's best records. 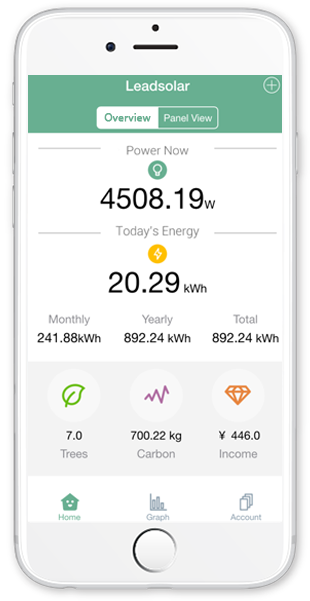 LeadSolar offers a complete monitoring solution through web and mobile Apps for project installers and end users. LeadSolar gateways provide a variety of functions that are so easy-to-use in various environments and situations. It can connect through the system owner’s Internet via WIFI/Ethernet or use the cell phone network for a more independent connection. Microinverters produce more power, over a longer duration, with less risk than convention string systems. They help maximize site production, allowing for panel deployment even in partially shaded areas. Moreover, microinverters isolate the loss associated with a panel failure solely to that panel and allow for scheduled versus reactive maintenance, minimizing O&M costs. Easily register a new account and add new devices. Display system power in real-time and historical data. Monitor system production by day, month, year and the lifetime of the PV system. Enable installers to manage project portfolios and remotely support customers. Please provide us with your email and a representative will follow up.